Jeevyn represents public sector and business clients in connection with workplace immigration and related issues. She obtained her LL.B. from the University of British Columbia in 1997, was called to the Bar in British Columbia in 1998 and has completed extensive mediation training that includes the Mediation Practicum (Provincial Court of British Columbia). The focus of Jeevyn’s practice is to work closely with senior management and human resources professionals to facilitate the engagement of foreign workers in Canada on either a temporary or permanent basis. In that regard, Jeevyn is experienced in developing corporate immigration strategies to assist employers in their engagement of foreign workers, be it by way of international treaty, such as NAFTA or CETA, or as part of a more permanent solution through the Express Entry system. Jeevyn has represented clients’ interests in the fields of construction, biotech, high-tech, pharmaceutical, health, education, engineering, manufacturing, investment and mining services. Jeevyn has written and presented seminars on a variety of immigration and employment related topics. Jeevyn is active in the legal community and serves as an elected Bencher of the Law Society of British Columbia, representing Vancouver County. 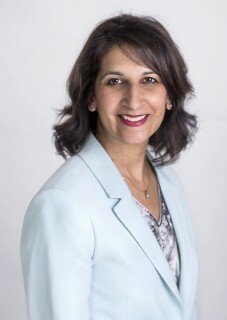 Jeevyn also serves as a Board member and is past president of the South Asian Bar Association of British Columbia. As selected by her peers, Jeevyn is included in the Best Lawyers publication and she is a Lexpert Zenith Award winner. Her community involvement extends to singing at charitable and sporting events and she has, over the years, been a frequent guest anthem singer for the Vancouver Canucks NHL hockey team. Volunteer singing appearances at charitable and sporting events, including the Vancouver Canucks NHL hockey team.